As another year comes to a close, so too does another chapter of World Builder Blog. As far as years go, this was a big one for me personally. The site got a makeover thanks to Ryan Hennessy, Rudy Basso and I launched a new podcast network, I joined the ranks of the DMs Guild Adepts, I contributed to the Kobold Press Creature Codex, I wrote a best-selling adventure for the D&D Adventurers League, and I contributed to several other projects! I also have several major announcements coming in 2018 that I cannot WAIT to share (but I am still under NDA for most). What I can tell you about 2018 is…. I’ve been invited to DM some D&D games in a castle in France with Regency Encounters! You can checkout this amazing experience at dndinacastle.com and join DMs Jeremy Crawford, Orion Acaba, Satine Phoenix, Ruty Rutenberg, Tim Mottishaw, and myself on this incredible journey. In mid-January a level 1-20 fifth edition D&D adventure path Johnn Four I wrote in 2016 will be available through Kickstarter. Keep your eyes here on World Builder Blog for more exciting announcements. These first two are just the tip of the iceberg. There’s lots of awesome podcasts and games I’ve contributed to that I can’t wait to talk about. 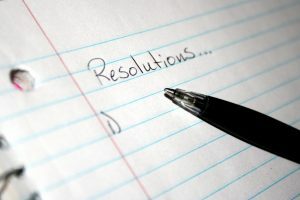 As we enter a new year, many of us make a resolution to better ourselves in some way. I was inspired by Mike Shea of Sly Flourish’s latest article, where he writes a letter to new DMs, to write a list of gaming resolutions for DMs new and old to get a fresh start in the new year. Pick one or pick all to make your 2018 awesome! Bring New People into Gaming. Maybe you have friends who have always been interested in the game, but you never found a good time to teach them. Maybe someone special knows how important this hobby is to you and is willing to give a one shot a try. Maybe you know some young folk who are finally ready for their first game. Whatever the case, make some time to give someone an introduction to this amazing world and help the hobby grow. Support Creators You Love. It goes without saying that you shouldn’t pirate the work of creators, but it also helps to support those you love by buying their products and supporting their Patreons if you can. If you can’t, that’s ok! There’s so many other ways to support. Share your love of the creator on social media or even better share it with someone you know personally. Help grow that creator’s audience or give some words of encouragement! It means more than you know. Play in a New Place with New People. Enrich your own gaming life by playing in new places with new people. Head to a convention, a game store, or find a group from a forum (like Roll20’s Find A Game feature). You’ll learn new ways of playing the game and make new friends. What could be better than that? Change Up Your Routine. Change up your normal gaming routine. Do you always GM? Let someone else take a stab and you step into the player role for a session or more to get a fresh perspective and avoid burn out. Have you never run a game? 2018 is your year! Run a one shot for some friends you trust to experience the thrill, challenge, and megafun of being a GM! Do you and your friends always play the same RPG? Try something new, even if it’s just for a session. All of these situations teach you new skills and deepen your usual experience with the game. Make Something New. Make something new for your game, even if it’s small! Could be a new creature, item, house rule, or adventure! Make art, podcasts, or stream a game on Twitch. 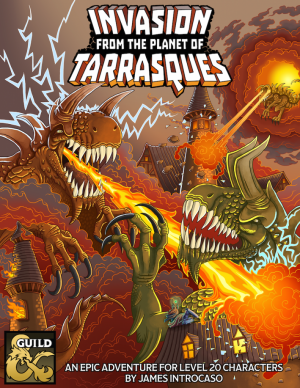 You don’t need to have a blog or publish your stuff on a website like the DMs Guild (though you could), but share your creation with someone and watch it in action at your game table. Play More. It can be hard to play RPGs, especially if you’re an adult with a job, family, and other commitments. Make time to play more games with the people you love in 2018. Don’t let it be the final thing, because gaming is spending time with people you love. Do it more. Your life will be better for it. Just a quick update today since it’s Thanksgiving in the US and the Guild Adepts are hard at work on Xanathar’s Lost Notes to Everything Else. I am grateful for many things this holiday. I’ve got a great life at home with an amazing spouse and new dog. I get to work with some amazing people and I’ll be announcing some awesome products in the new year! Plus my friends and family are awesome. I am especially grateful to you, the readers of this blog and listeners of the podcast. You are all amazing and your support is humbling. Thank you for all the kind words, feedback, and encouragement over the last almost four years! I also need to thank someone in particular. Rudy Basso, who co-founded Don’t Split the Podcast Network with me. He is an incredible partner, who does the lion’s share of work for the network and Have Spellbook, Will Travel. He’s my con buddy who plays tons of games with me. He’s organized, smart, passionate, creative, hilarious, and an amazing friend. I give thanks often that he is my pal and today is no different! So let’s all give thanks to Rudy, because he’s the man! Hey everyone! This is a crazy time here at World Builder Blog! More updates to come as soon as I’m allowed to talk about them…. In the mean time, I’ll be at AcadeCon this weekend in Dayton, Ohio with Rudy Basso! If you’re there, say hi! We’ll be wearing DSPN shirts. The following weekend we’ll both be at PAX Unplugged! Same orange DSPN shirts! Come say hi! Back to the game design mines! Hey everyone! 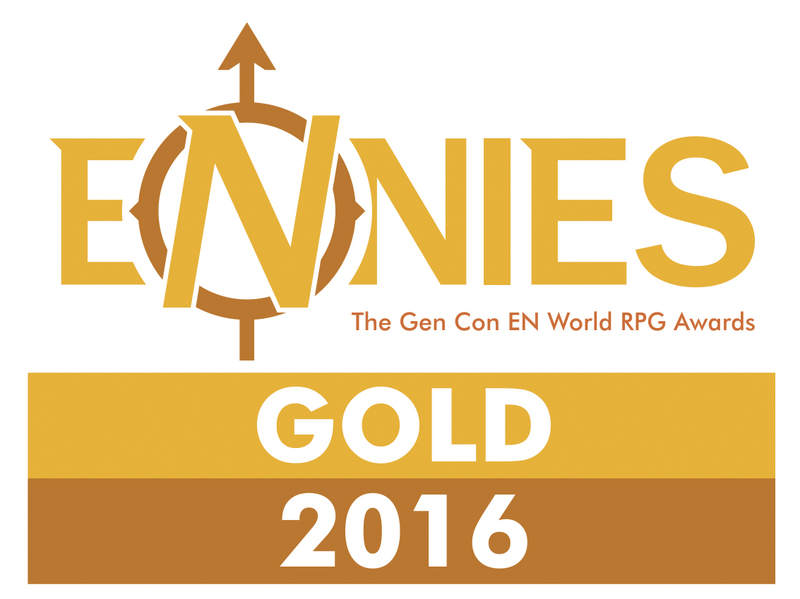 Just a quick update this week since I’m at Gen Con! But I’m only here for today (Thursday), so I wanted to let you know the best way to find me. My podcast network that I own and run with Rudy Basso, Don’t Split the Podcast Network is hosting a free Q&A panel tonight at 7PM in the Crowne Plaza in Pennsylvania Station C (that’s a conference room). Get your tickets now to reserve a spot! It won’t just be Rudy and me. Celeste Conowitch and Brittany Quintero from the Venture Maidens, Vegas Lancaster from Have Spellbook, Will Travel, and Alex Basso from Game O’Clock and Have Spellbook, Will Travel will all be there. 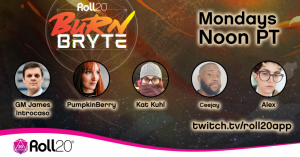 We’ll answer your questions, give away prizes, have a ton of fun, and then we’ll head out for drinks and food at a secret location to be revealed at the panel! So come have some fun with us! James Introcaso sits down with Allison Rossi, Rudy Basso, and Alex Basso to discuss the Stream of Annihilation, a livestream event where Wizards of the Coast announced several major new products, including the Tomb of Annihilation, Xanathar’s Guide to Everything, and Betrayal at Baldur’s Gate. UH OH – it’s BAD BOY VEGAS LANCASTER and he’s BACK. Voice of Aurox and many other villainous characters, he regales Rudy and James with his thoughts on playing a lich who goes so against the lich-y norm! Hooray! Everybody loves Vegas! Ta-dah! Many apologies for the one-day delay, but we wanted to make it EXTRA GOOD. So here is Episode 7-2, which is PART 2 of The Battle of Davenport! Can Party 13 defeat Aurox? Did any of the Armored Griffins survive the fallout from the explosion? FIND OUT… NOW!!! Vin St. John – the voice of Rolf, Durant, and many others – joins Rudy and James to discuss his background in acting, Dungeons and Dragons, and the plight of the Level 1 character.